One can find a truly great original and relaxing atmosphere. Enjoy our original brews and a variety of PA wines in the beautiful antique bar that dates back to the 1800’s. 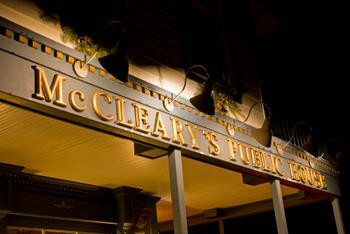 McCleary’s is an authentic family operated Public House here to serve you with an Irish experience right here in Lancaster County. 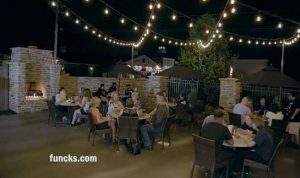 Nestled along the Susquehanna River in historic Marietta, Pa., McCleary’s provides excellent cuisine, spirits and entertainment for you, your friends and the whole family. The Railroad House Inn is a unique restaurant featuring innovative, seasonally inspired food and drink. The inn features 3 rooms for dining, 12 private guest rooms, plus a gorgeous patio and gardens. Located in a historic hotel in Marietta, PA, nestled along the Susquehanna River makes this a one of a kind dining experience. Funck’s friendly staff goes all out to ensure your dining experience is the best. Whether stopping in for breakfast, lunch or dinner, Funck’s has a wide selection of menu options your sure to love, from a full breakfast menu to wraps, burgers, salads, and homemade soups for lunch to a creative selection of dinner entrees. The Loyola and Palmyra have live music, be sure to check the schedule of events. The casual ambiance, wonderful menu selections, and friendly service make for a fun experience for you to enjoy with friends and family. Depending on the time of year you can choose from over ten award-winning varieties of beers. 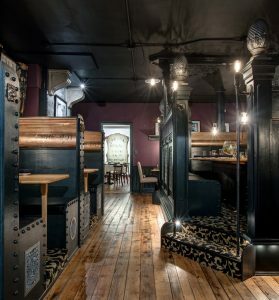 Established in March 2010, The Bulls Head is modeled after a traditional British pub. This means great food, friendly conversation, and of course, quality beers.